I have lots of new followers now since being Freshly Pressed! Thanks and I hope you’ll stick around. Let me know if you like (or don’t like) what I have to say. It’s okay if you don’t agree, just be nice. If you’re not, your comment won’t show up anyway. That’s the way it is here at The Banter. Funny, smart, witty barbs and all that are very, very welcome. :). For the past six weeks, I’ve started the week out with some kind of post focused on motivating me and hopefully, other readers out there as well. This one, fittingly, is about generosity. If you’d like to read past Monday Musings and Motivations, click on the “Feel-Good Stuff” tab at the top of my blog. Please check out my updated blogroll where you’ll find blogs that I frequent. I do so because they always, always respond when I leave a comment. Some are hilarious, some inspirational. There’s comedians there, writers, poets, mothers, guys, girls, and everyone in-between. I have a full and eclectic range of interests and love to read these blogs. What all of them have in common is kindness — they respond and treat their readers with respect. Visit some and/or all. If you decide it’s not your thing, it’s okay. We’re all adults with different interests. That’s what is so great about all this. I get to write, which I love to do and some people may find that interesting. How great is that? Anyway, hope you stumble across a great blog today that speaks to you, births an idea, makes you smile, laugh, dance, jump up and down, gets you to thinking, gives you a new perspective or inspires you to finish that novel you’ve been writing for years and you just have a few chapters left to actually do it, do it, do it!! That last one is the one I’m looking for. ;). Below are a few of my brand new followers with short descriptions about what their blogs are about. There’s no rhyme or reason to this list, they’re in no particular order — just scanned through my dashboard and picked out a few, totally at random. Spread the generosity. Why not write your own blog, featuring some of your new followers? I’ll list others, sporadically and randomly, in future posts and as time allows. If they’re your kind of thing, leave them a nice comment or “like” what they’re doing. Who knows, you may want to follow them. Click on the links to explore and happy blogging. The Waiting — Emily shares pictures and milestones about everything from losing her baby weight to recipes to just her musings about life and she’s funny. Caroline at Shine Daily — a young woman living in Manhattan that welcomes you to the “bright” side. I Dip My Toes in the Water — Aubrey’s quest to try out everything life has to offer. She has a recipe on her blog for Fried Oreos. Fried Oreos, people. Wife Meets Life — Alison writes about domestic adventures of a working wife. Jennirific – a new blog about freeing your food from overprocessing. Who’s That Tall Lady? I most certainly don’t fit into this category, but there’s some funny stuff here and love the motto: Be who you are. Wordswithnannaprawn – A self-described word addict with wit. Life and All Things Love. What a great title. A newbie, like myself and there’s some feel-good stuff on her blog. My Renaissance Life – A new blog from a young writer. She quotes Shel Silverstein. Nuff’ said. 81 Days Won’t Last Forever — How can you not want to visit a blog of two 14, 15-year-olds that are chronicling their summer? They’ve got a list of things to do and they’re blogging about it. It’s way cute. Just Me and My Peanuts — a young woman who is going to school, working, raising children and apparently, loving life. Her blog reflects that and a strong spirit. Great Idea! 🙂 I love how your actions speak even louder than your words. It inspires me to pay it forward too with comments and increased participation with the blogging community. Thanks for the links I’m looking forward to do some reading. Wonderful and thanks so much for stopping by to read and comment. Hope you’ll do so again. :). Thanks for the mention! 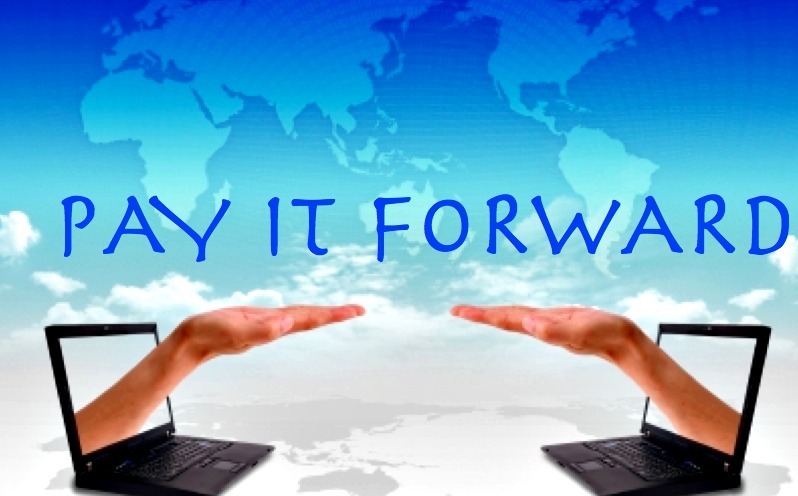 I love what you’re doing here, and love the “pay it forward” attitude of this post. You’re very welcome. Happy blogging. :). I’m so happy I found this blog. Hooray for positivity! 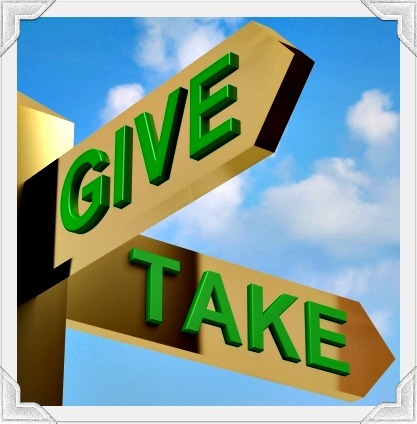 I think generosity is an all too often overlooked sentiment. Thank you for reminding me to pay it forward whenever i can. Hi Jamie, thank you — that’s so kind of you. Glad you found me and hope to visit you soon. :). Glad you enjoyed — thank you! I’ve been meaning to do this myself, so thank you for this reminder! Also, the blogs you listed look great–you had me at fried oreos. Hi MW, Can’t wait for the results on your poll tomorrow. I know, fried oreos…yeah. Thanks! I love finding blogs too; it’s amazing the great ones out there. Yours included. :). This is great Brigitte, had someone not mentioned you in a blog I read I may have never found you and I am so glad I did. You are a great writer and I really appreciate your focus on being kind and respectful. You always leave such great feedback on my blog and I am thankful for it. Thanks for including me on your blogroll. Hi Simon, Thank you! Same here, I found you on a blog and glad I did. You, of WordPress-Freshly Pressed fame and thousands of followers. Obviously, you are doing something right and a great writer yourself! Love your blog as well and you’re welcome on the blogroll. :). Fun idea. 🙂 I’ll have to sample some. And I love your graphics! You must spend hours seaching for just the right ones. And…I want to help you be as clear as possible, so I will say it, and hope that you take it in that spirit. I think you used the word “spurn” when you meant to use “spawn” in the above post. Thank you! Good grief, you are right about the spurn — duh — totally opposite of what I meant. Thanks for catching that. Gotta change that right now. :). Thanks for this list. Another good and useful idea you given your fellow bloggers, Brigitte. I’m going to check out the blog by the 14 & 15 year old. Sounds like a good concept. Thanks for sharing. I am coming into this social networking world kicking and screaming – figuratively, of course! Thank you for making the journey a little easier! Generosity, like gratitude, is a wonderful practice. 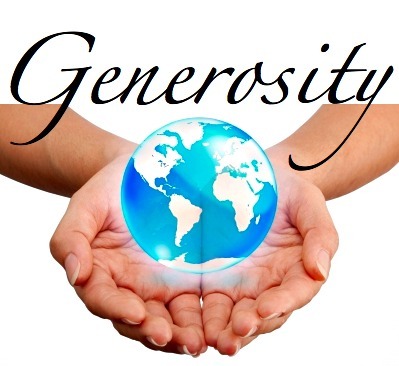 Thank you for your generosity which allows me to experience gratitude and, in turn, venture forth into generosity myself by expressing my appreciation for your generosity. What a lovely spiral! Thank you so much for sharing my blog with your followers! I’m glad that you like the motto, I have been toying with a new one which I also like: “For the little tall in all of us.” I’m torn! You’re very welcome and good luck with your blog and thanks for stopping in again. ;). Sure! Have a wonderful summer. :). I’m just getting started here, thanks so much for the suggestions! You’re very welcome and good luck to you as you begin your blog. :). Hi Brigitte, great thoughts and big congrats on getting Freshly Pressed as it was obviously well-deserved! Look forward to reading more and sincerely appreciate the feature! Thanks, Caroline and you’re welcome. :). You’re welcome and good look in the blogging world. ;). Awww… you’re so sweet Brigitte 🙂 You remind me of the saying “If you want to be successful, you have to help others to become successful first”. Thank you for sharing my blog and shouting out the Fried Oreos recipe! You’re most welcome, Aubrey. Bet that recipe is making lots of people happy. :). What a great idea to feature random bloggers that you have recently met through your brush with Freshly Pressed fame!!! Awesome idea and a great way to share the bloggy love which we all should be doing!!! I have featured a few on mine but need to do it more often!!! Thanks for the heads up on what will be sure to become some of my own favorite blogs to follow!!! Hi there, Lovely blog you have BTW! Thank you and I think it is a good idea every once in awhile as well. Thanks so much for stopping by. :). You’re most welcome, dear. :). Good and yes, I’m trying…I know what you mean. :). Thank you, Vikki. :). Geez, Brigitte… I think I chose the wrong time to travel blogless. I’ve missed your Freshly Pressed moment and the fact that you have so generously put me on your blog roll. Thanks so much for that. Can’t wait to get back to CA and get back into the blog groove. Keep spreading the love, girl !!! No worries, friend. Have yourself a great vacation. All this can wait til’ you get back. Look forward to your inspiring posts. You are a great writer and look forward to hearing more about you and what’s going on..:). Great Post ! Thank you for referring other blogs on your blog, that is so generous of you! Hi Naima, thanks so much and to you as well. :). Thanks so much. Hope you are well! :). What a great post and idea! I’ll have to give this a try soon. I’m off to check out the blogs on your list. Have a great weekend! Thank you, Vicky. You too!